This year’s Bush Blitz expedition in South Australia targets a large area west of Lake Torrens. Scientists from the State Herbarium of South Australia, the South Australian Museum, Flinders University, The University of Adelaide, Queensland Museum and the National Herbarium of Victoria will explore the area during the next two weeks, surveying plants, fungi, lichens and animals. 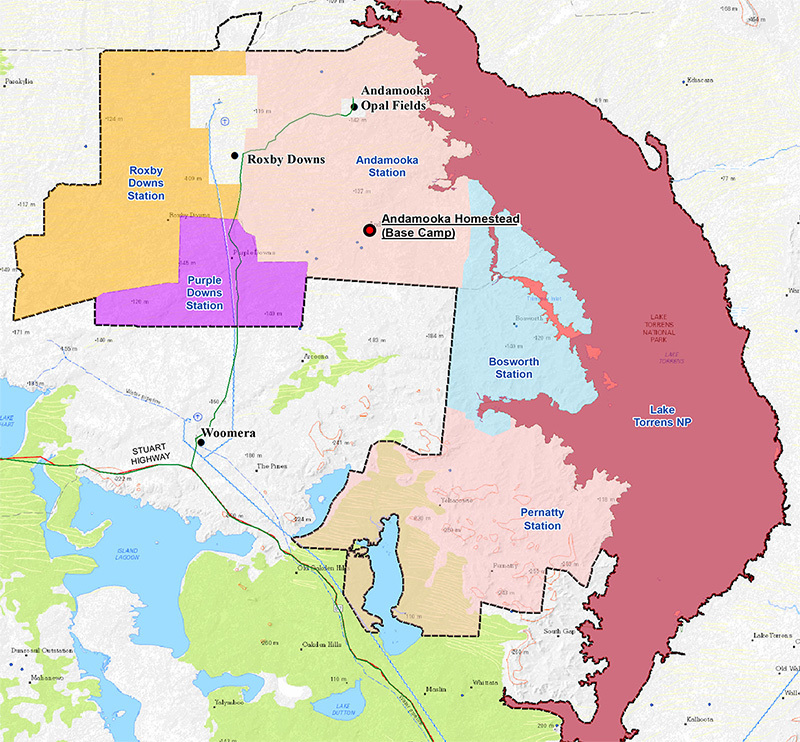 The Bush Blitz study area west of Lake Torrens includes five Pastoral Leases. On Saturday, three Herbarium botanists, Peter Lang, Chelsea Tothill & Chris Brodie, and DEWNR staff member Dave Armstrong departed for the base camp at Andamooka Homestead. Their 4WD vehicles were filled to the brim with gear, survey equipment and plant presses. They are now busy working in the field, even though yesterday’s rain has slowed down progress slightly. 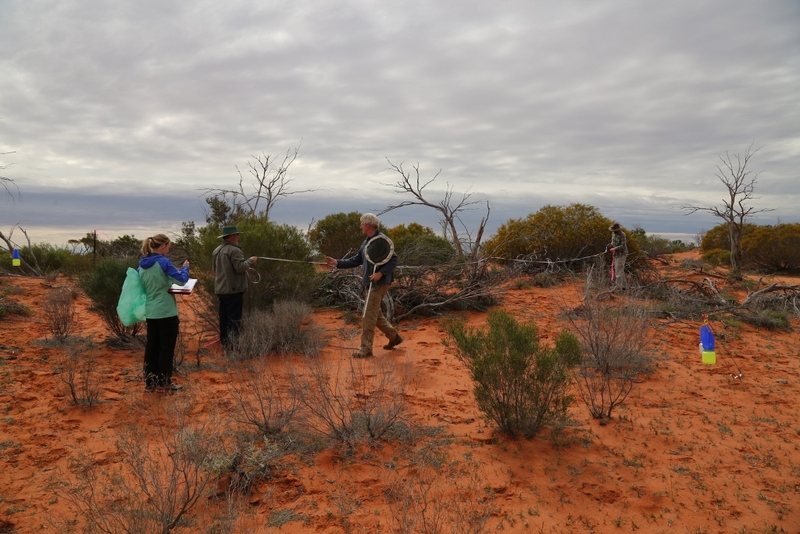 The latest images on the Bush Blitz blog show them collecting plants and surveying two standard sites that were established in the two main land systems of the area: sandy dunes and gibber plains. Work on Standard Survey Site 1, sand dunes. From left to right: Chelsea Tothill, Peter Lang, Remko Leijs (with insect net, South Australian Museum) and Chris Brodie. Photo: Bush Blitz. Bush Blitz is an innovative partnership between the Australian Government, BHP Billiton Sustainable Communities and Earthwatch Australia. It is the world’s first continent-scale biodiversity survey, providing the knowledge needed to help us protect Australia’s unique animals and plants for generations to come. 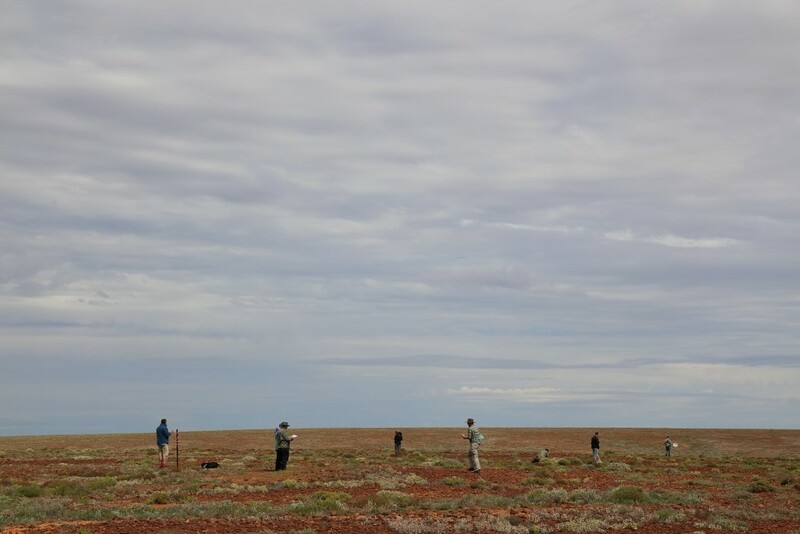 Bush Blitz scientists working on Standard Survey Site 2, gibber plains. Photo: Bush Blitz. This entry was posted in News on 31 August, 2016 by Jürgen.